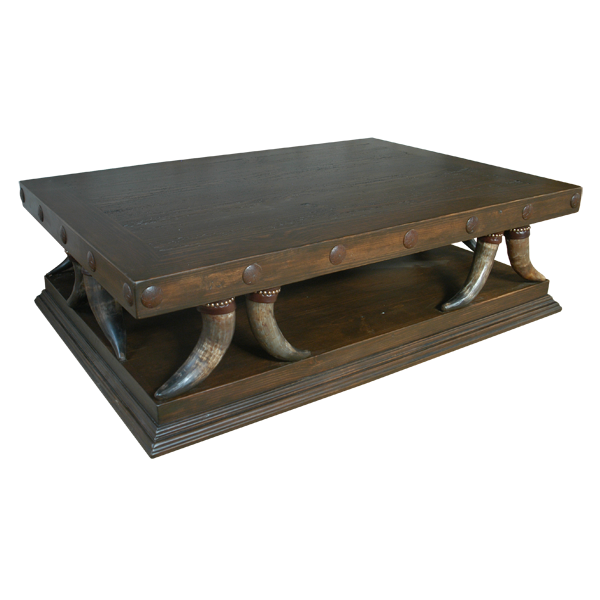 This handcrafted, Western style coffee table blends Spanish colonial and Western details to create an innovative and remarkable design. The top of the coffee table and its base are divided, leaving open space for placing magazines or books. The top is connected to the base with six pair of opposing, inverted, steer horn supports, and the hilt of each steer horn is adorned with hand tacked, gilt nails. 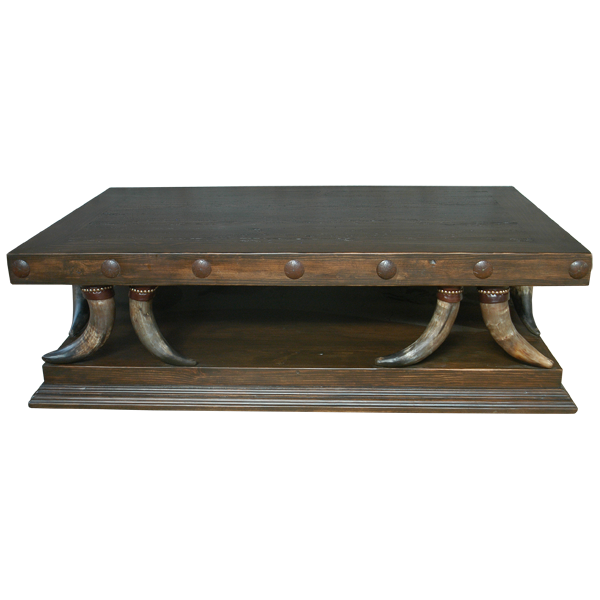 The coffee table has a solid wood, rectangular base, and the base has a staggered rim. It has a wide, rectangular top with a classic, straight, top rim, and the sides of the top are embellished with hand forged, iron nails intermittently hand tacked to its sides. 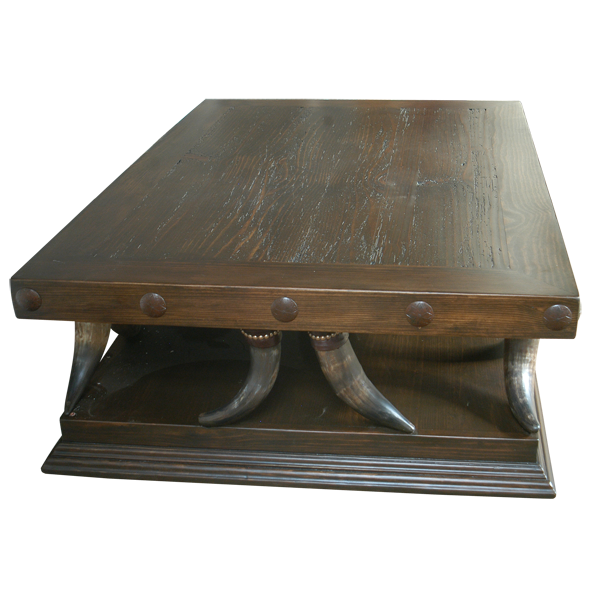 The coffee table has an opulent, antique finish, and the coffee table is made with the best, sustainable, solid wood available. It is 100% customizable.